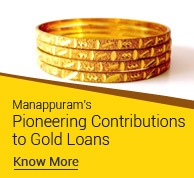 Moreover, at Manappuram, repayments towards interest and/or principal can be conveniently made at the counters of any of our nationwide network of over 3,200 + branches, irrespective of where the loan was taken from. Enquiries about outstanding amount etc. can also be made at any of these branches. However, the pledged ornaments will be released/handed back only at the branch from where the loan was originally availed. 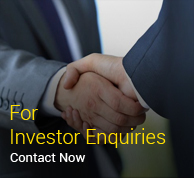 Our products are tailored not to the income group of the customer, but to relevant considerations like how much loan customers would like to avail against a given item of jewellery, and their comfort levels with respect to the interest rate and periodicity of repayment of interest and principal. 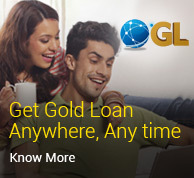 Incidentally, gold loans can be availed at our branches for amounts as low as a thousand rupees and as high as 1.5 crore rupees & even above 1.5 crore as exception. In case of persisting overdue, the ornaments are liable to be auctioned but only after giving sufficient notice to the borrower. 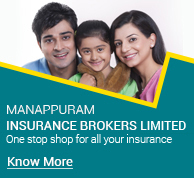 Manappuram serves a reminder to its overdue accounts apart from periodic SMS reminders to our customers to alert them to the overdue in the account. Moreover, we also send auction intimation prior to the auction. We reiterate that (1) periodical monthly payment of interest due and (2) re set your account on or before due date, are recommended as an easy way to avoid such contingencies.